warm milk with custard powder, cinnamon powder and sugar in a bowl. the sugar dissolves completely and set aside. 5. 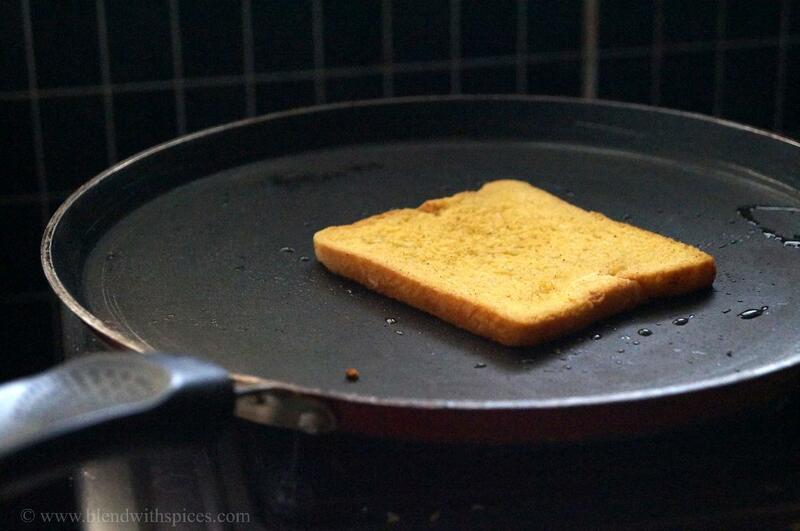 Remove from the pan. Sprinkle with powdered sugar and serve warm. WIll try this for breakfast this weekend Hari. thanks for the recipe. 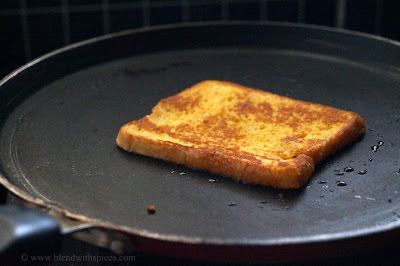 Chandana the toast looks yummy kids love it. You had me at eggless. 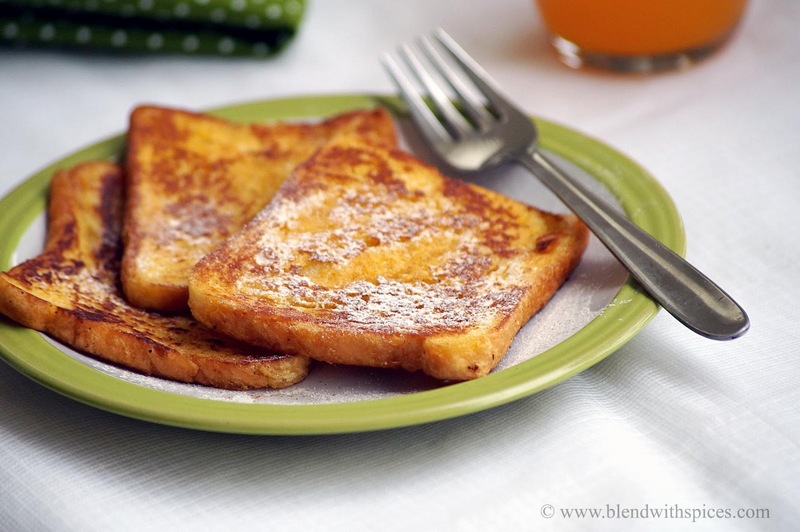 Everyone raves about French Toast, however i cannot get rund to eating the original version. This, I gotta try! What custard powder do u use? I used vanilla flavoured custard powder. You can use any branded powder. Wow ! It looks too good. 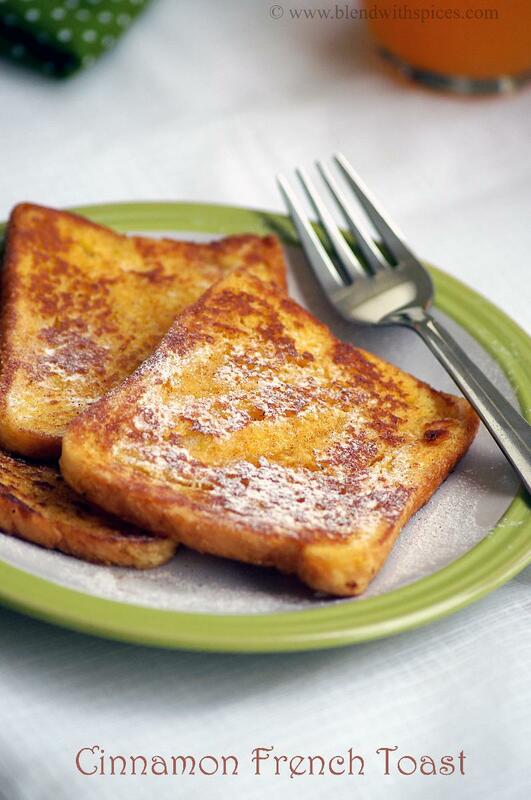 Being a vegetarian, deprived me from trying out the French Toast. Now thanks to you, I shall try this soon. I have never heard of custard powder before. What is it, where do you find it, etc. Thanks! Custard powder is nothing but corn flour, vanilla essence and color. You can buy at any supermarket. Thank you! Oh thank you. I love french toasts. Now that I'm a total vegetarian. ..your recepie will give back my toasts..Thank you.